Lampong peppercorns are are treasured around the world for their mild, delicate aroma. Small, brown berries are characterized by a sweet, smoky, and yet "woodsy" fragrance. Lampong goes well with almost any dish. This aromatic corn is a perfect complement to Thai or Singaporean dishes. One sniff will take your imagination to sweet concoctions made of coconut milk and lemon grass. Try it in other recipes where a less bold, but aromatic pepper flavor is preferred. Grown in Indonesia’s mountainous islands, these berries are picked while young to retain a sharp, hot flavor. 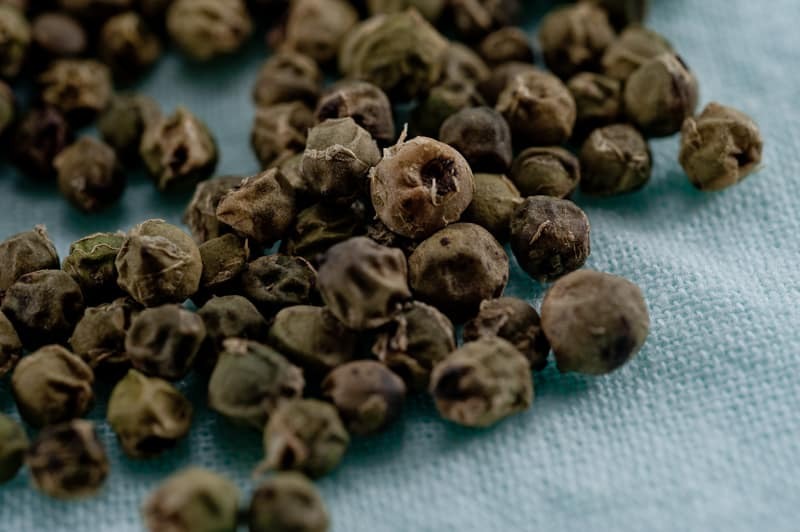 This is the ideal peppercorn for daily use; perhaps for dishes where you are still experimenting with spice blends. Individuals using Lampong peppercorns note that the heat does not appear immediately, but when it does, the sensation is distinct and enjoyable. No matter whether you need to spice up dull potatoes or want snappy egg omelets, Lampong peppercorns add just the right touch of smoke and outdoor mystery to your dishes. Their distinctive aroma is also known to last for hours in the kitchen and deliver a refreshing scent that enhances just about any food.